The current Netanyahu government was not only the longest-serving but likely one of the strongest in recent memory. But like all things, it is coming to an end, as it must. Holding on to power is addictive, and those at the helm are thus reluctant to relinquish the power, explaining to one and all, and persuading themselves first and foremost, that they are the only viable alternative. Except in life, I learned long ago in the military, everything is replaceable; everything has its time. On March 17th, a new election will take place in Israel, and if I gauge the blowing winds correctly, President Rivlin will task the formation of the new coalition government on the “Zionist Camp” (a misleading term self-chosen by the centrist-left party). Be warned, my faithful reader, I neither attempt to be a forecaster nor a prophet, for only fools will do that. Quite on the contrary, I sense those very subtle vibrations under the surface, the whims and whispers no one expresses out loud but that can be felt radiating from Israel’s being. In every election, there is a tipping point where one can feel the momentum gathering and a shift toward one side or another (or against all sides altogether, when there is very little interest in an election cycle). Much can change in the next forty-some days, although the overall discontent with Netanyahu is palatable. Is this surprising? Not in the least. The academia, media and judicial echelons have long shifted toward the left, and Netanyahu, for them, is an obstacle; a most formidable, thus requiring crushing. Netanyahu is not very concerned, so it is felt, with the common person. Thus, Israel has become a country of haves and have-nots, with the abyss between the two ever growing. I feel it too, and I should not, for I am but a casual observer, a visitor. As for the majority of Israelis – those who live very well, travel regularly overseas and generally enjoy life – Netanyahu’s realistic approach to life in this neighborhood is an affront to their delicate senses. I am already preparing a clean handkerchief and feel the anger building up inside me: How dare Netanyahu be the only obstacle to Peace in Our Lifetime (well, he and the “Settlers” of course)?!! Israelis are a very smart people, and yet they act in most irrational manners. For them, Netanyahu is the obstacle to peace, as he stands safeguarding Israel’s security now and in the future. Livni, for instance, the second in command of the so-called “Zionist Camp” has already admitted long ago to the need to divide Jerusalem. She became belligerent when exposed but will not change her position. So the battle lines are clear. There is one true leader with his legs grounded in history, reality and the future, and across there is a leader who talks the same talk the enemy speaks in English to Western ears. When push comes to shove, the two leaders will end up indistinguishable, acting to defend and ensure the survival of the Jewish state. Except, one was complicit in bringing the day when drastic measures are necessary (and was busy blaming the other), while the other did everything possible to prevent that day from coming. 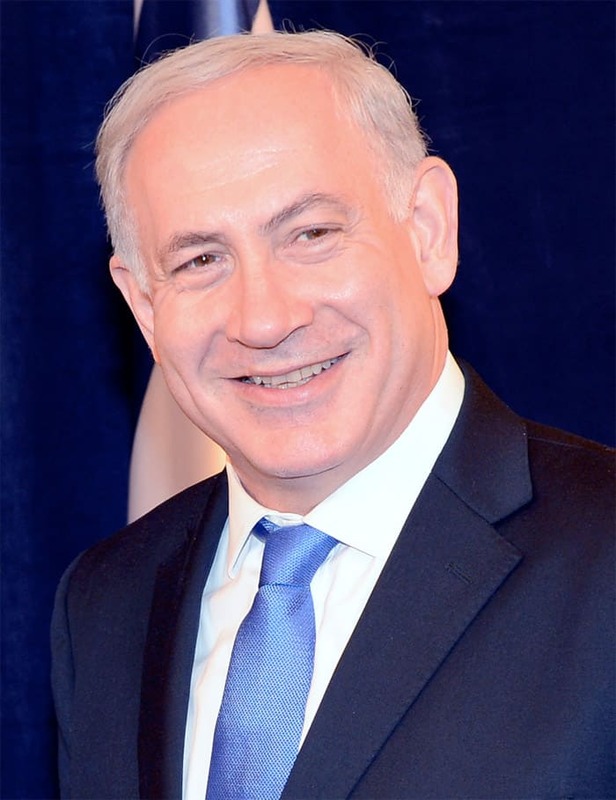 Israelis, exactly as happened in the USA six and two years ago, will most likely bring about a new government, and oust Netanyahu for good (for once out of the system, a new leadership will emerge, like a new life sprouting after a forest fire). Democrats have lawfully elected and re-elected President Obama, issues of Mickey Mouse and some dead people voting or voting multiple times notwithstanding. Thus, we – Republicans – cannot complain and have to respect the person sitting in the White House, or at the very least the Office of the President. This said, we are praying constantly there will be a US of A to save once this ordeal is over, that the damage inflicted will leave us able to stand up and rise again. What will be in Israel? Israelis must learn a lesson, the hard way. My father, Dr. Bussel, says that for education we pay. The same will be true in Israel. A majority is convinced that the way for peace and prosperity is by relinquishing any right we have. Judea (the root of the word Jewish) – needs to be given “back.” Jerusalem (the very beating heart of our being) – is de facto to them “divided” (how quickly do these “Zionists” forget 1967 and 1948 and the forever United Jerusalem as Israel’s capital, as they apparently oblivious to the two thousand year craving for Zion Jerusalem). So strong is the urge to have the center-left rule, once again, that Israelis feel an urge and will stop at nothing to make it happen in the upcoming election. The President then tasks the formation of a new government to the head of the party most likely to succeed in building a coalition of more than 60 members (more than half the 120 members of the Knesset). What does the Future Hold / Is Israel doomed? Unlike the USA during the last presidential election (and at the moment in the upcoming election), there is a viable alternative in Israel. He is not a “one-timer,” candidate of the flavor-of-the-moment. He has proven himself time and again. He stands on a firm basis of ideals and values, and he is willing to try and fail. What he lacks in experience, he gains in motivation and willingness to err and rise again. His name is Naftali Bennett, and he heads a party The Jewish Home (Habait Hayehudi). The party is likely the third largest at the moment, but in the high seas, as every wave threatens to swallow whole a tiny ship called Israel navigating the rough waters, it can turn to be the largest party and Bennett be assigned the task of forming the new government. Bennett is made of the same matter true leaders are made. Definitely Begin, Golda, even Ben Gurion. But do not let this analysis or momentary comparison go to his head. The United States, currently playing poker and politics all at once, must be ready. On the one hand, the President refuses to meet with Netanyahu just weeks before the upcoming elections, on the other hand, a full contingency of his election advisors is here in Israel to make sure that “Bibi goes home.” I will not be surprised if the American Embassy in Israel keeps meddling in Israeli political affairs as it has done continually in the service of the Commander in Chief. It is indeed an end of an era; Netanyahu’s. A new label was recently attached to Netanyahu, “the modern-day Churchill.” But does Netanyahu really need to talk before another joint session of Congress? Is it not up to us – Americans – to decide if we want a reconciliation and submission to the Iranians, a la President Obama, or standing firm, as do Russian and China? Do we need a foreign leader, Netanyahu, to come and tell us the folly of our ways? One must remember: Many Americans still believe in our President, so we too will eventually pay a price. Netanyahu has done tremendous things for Israel, but a new generation is about to take his place. Bennett does not talk about being the next prime minister, making him the perfect candidate and the more serious of all. Humility is a virtue, and a man displaying this and other traits inside, not as a peacock displaying his feathers, is indeed deserving to lead the country.